A classic and elegant sword. 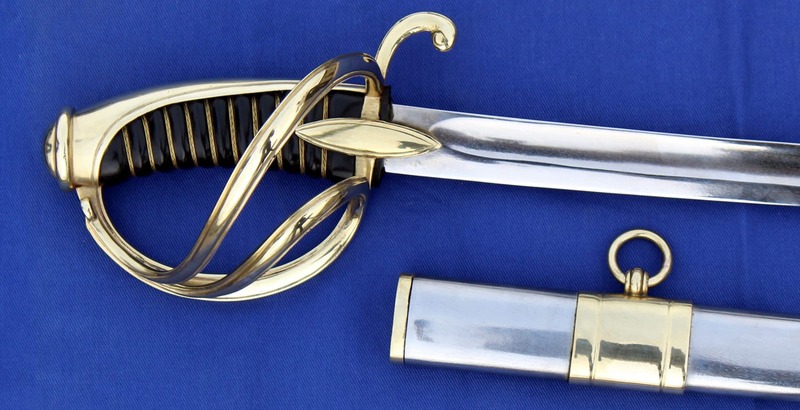 Although this looks like a typical 19th Century Napoleonic era sword it is in fact a modern version. The French F1 sabre was created in the 2oth Century for military parades and ceremonies and is heavily based on the Napoleonic AN XI sword. being less curved and slightly shorter. The AN IX was the first sword to incorporate the three bar hilt design that became very popular in western militaries with brass hilt. Tempered 1055 high carbon steel 82cm blade. Comes with a steel scabbard with brass accents and hanging rings.